Do you despise meal planning but want to be able to prepare easy, nutritious meals! Dietitian Anne Mauney from fANNEtastic Food is here to teach meal planning for people who hate to meal plan! Hey guys! Excited to have my dear friend dietitian Anne pop in today and talk about one of the topics I get a lot of questions about. As you know, I love to meal plan. To me, it's fun to plop down on the couch with a cookbook, pen and paper each Sunday morning and delve in! But, I know there's a ton of you out there who don't share in my enthusiasm for it (probably the majority!) and that's okay! Anne is in the same boat as you. She loathes meal planning, yet is able to create fuss-free, nutritious and actually REALLY tasty meals! Learn a few of her secrets and favorite quick non-recipes. Hey, Avocado a Day readers! 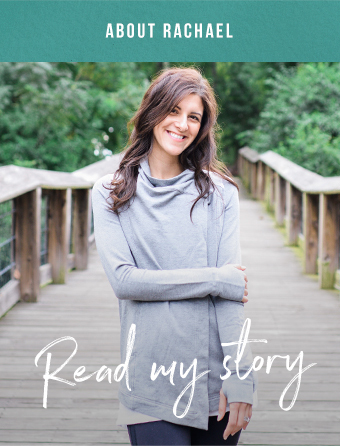 This is fellow intuitive eating dietitian Anne Mauney from fANNEtastic food – happy to be here sharing a guest post with you all today. So, here’s the thing – I’m a dietitian, but I hate meal planning. Ironic, right? The last thing I want to do is spend my precious weekends chopping a million vegetables or cooking up 10 different recipes for the week ahead. I know this works for some people, and we do share some basic meal prep tips in our program – but you can still eat healthy without spending hours in the kitchen. Here are some of my best tips. 1) Start with what you already know. Are there meals that you make all the time, like pasta, pizza, eggs, etc.? There’s no need to totally reinvent the wheel – but think about what you could add to those meals to make them more satisfying and balanced. For example, if you love pasta, try replacing half the pasta with veggies (zucchini, peppers, peas, spinach, and kale are great in pasta – and you can use frozen rather than fresh veggies), and making sure you have a protein present. No time (or desire) to cook meat? White beans go really well with pasta and add a solid vegetarian protein source – keep a can in your pantry! Love pizza? Again, add some veggies, either on top of the pizza or in the form of a side salad. Having eggs? You guessed it – add some veggies! Peppers, onions, and spinach are great in veggie scrambles, and you can grab a piece of fruit or toast to get some carbs in, too. Don’t forget the avocado! 2) Pick one new meal to try each week – not 7. 3) Perfect the art of the grain salad. One of my favorite fast and easy meal ideas is to layer greens, a grain (time saving tip: used 90 second brown rice), canned beans, veggies, healthy fat (like avocado or oil), and a dressing. Voila – dinner (or lunch)! Here are some favorite combinations! Chopped veggies – peppers, carrots, cucumber, etc. 4) Create a list of go-to fast and easy staples that use mostly pantry or freezer items. Two fried eggs over wilted spinach (put a huge handful of baby spinach on a plate, pop in the microwave for 1 minute on high) with toast or a microwaved sweet potato. Plus avocado if you have it! Put raw chicken breasts into a pan, pour a can of diced tomatoes over them, toss in a handful of baby spinach and some canned (drained) artichoke hearts (optional). Put a lid on it and cook on medium high until chicken is cooked through, or about 15 minutes. Serve over whole wheat pasta or with brown rice/another grain or on its own. Put raw chicken breasts into a pan, pour in a jar of salsa and a can of black beans (drained/rinsed), plus any veggies you like - peppers, baby spinach, kale, etc. Put a lid on, cook until chicken is done. Serve over brown rice or on its own! Mix a can/packet of chunk light tuna (packed in water) with guacamole or hummus; eat with crackers and have a salad on the side. Don’t forget about stir fry – such an easy, delicious meal. Keep frozen meat (like grass fed beef strips, or chicken) or tofu on hand as your protein, and throw in any frozen veggies or fresh you like! Serve atop a whole grain. What are your best tips for creating healthy meals without spending hours prepping or planning?